Although I did not unfortunately have much time for shopping on my recent trip to Singapore, i still managed to stop by the local Sephora, to check out all the exciting beauty products we are still missing in Denmark. Luckily, while scanning the store, I accidentally walked into the SK-II little oasis - and was sold. The absolutely brilliant SK-II consultant, Amanda, helped me try, sniff and stock on all the best products from the SK-II range, with a complementary face massage, and a goodie bag worth a trip to Singapore and back. 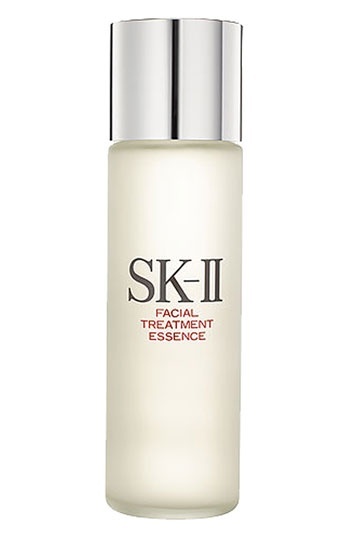 If you have to invest in just one SK-II product, go for their bestselling SK-II Facial Treatment Essence that according to experts helps stimulate the natural renewal process of the skin cells, and is simply superb. Another great find at Sephora Singapore was Argan Oil by Josie Maran: just what the doctor ordered in the middle of the harsh Scandinavian winter. Your skin will be so grateful.